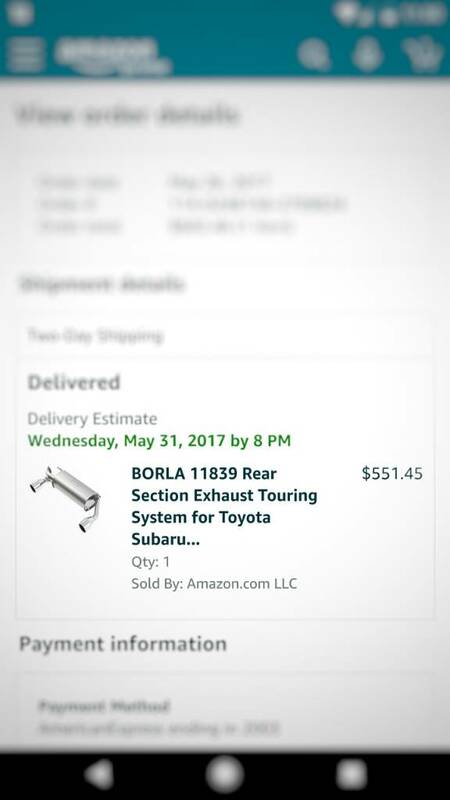 Borla "touring" axelback exhaust. Less than 4 months of use. 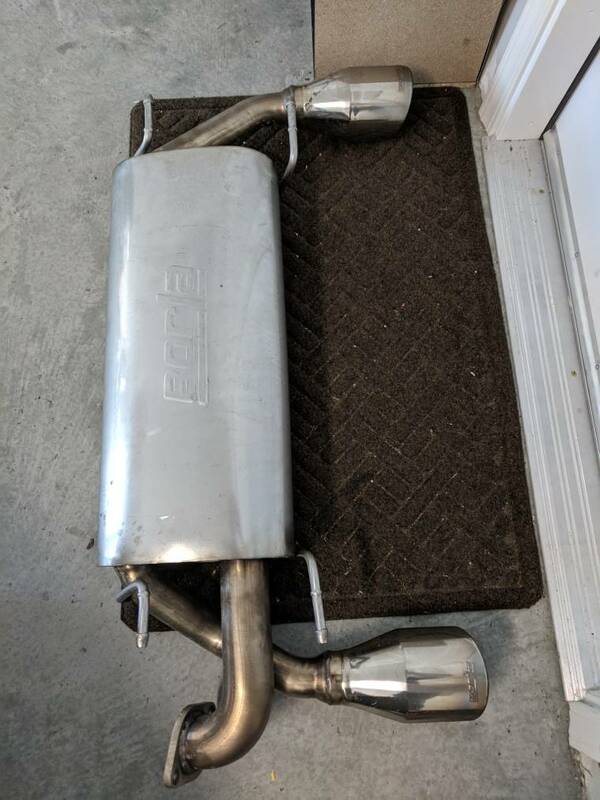 Too loud with my catless front pipe but will sound awesome mated to a stock system. I paid over $600 just 5 months ago. See attached receipt. 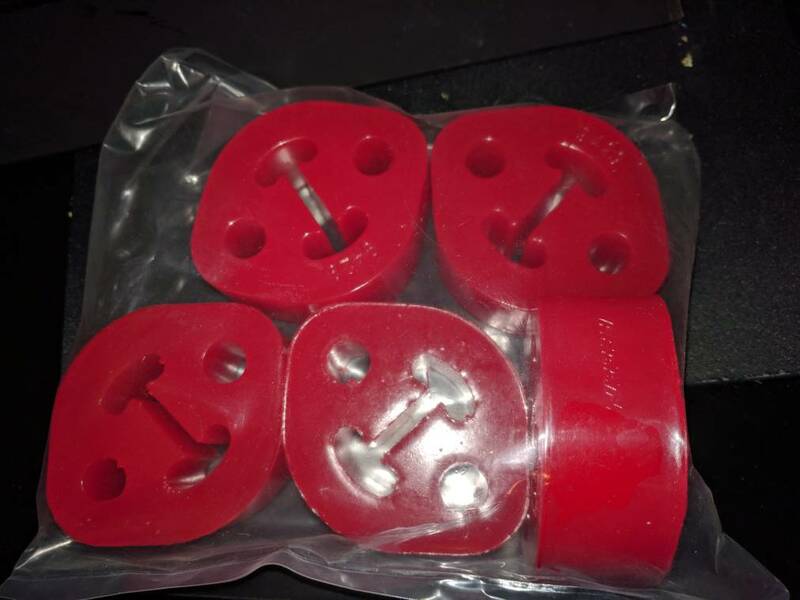 I will include the brand new Perrin urethane exhaust hangers for an additional $35. 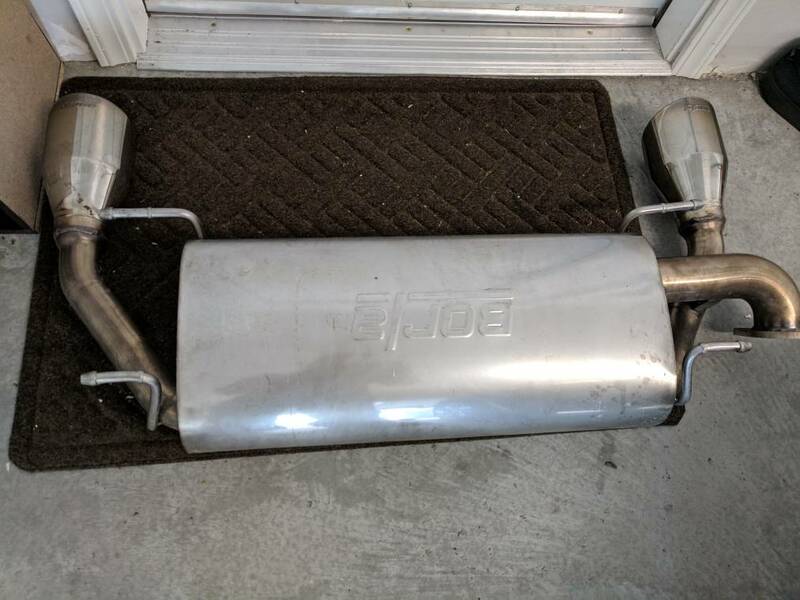 Asking $375 for exhaust only. bump...I will take any offer, need to get it out of garage. WTB stock tires shot me a PM! Unless marked sold, all parts are available. Text me at 925-550-6741 for info or pictures. Last edited by joeyf1986; 11-13-2017 at 12:48 AM. Hey guys I'm looking for three TRD center caps or WRX STI center caps. Should be 56mm to fit the TRD wheels. Can anyone help me out? Hey guys I'm selling two items off my car. First item will be my 2014 OEM Scion head unit with the nav attached. It's in great condition, just needs a wipe down. All data has been erased from it and it will be quick plug and play! Second item will be my ISC lower control arms. It's been used for a while, it's a bit of arm work to get it completely clean. It will come with used hardware as well as brand new headlight leveling brackets. Selling used RCE Yellows with 15k miles. Damn would've picked those control arms up if I hadn't already picked up my Spc ones. Glws! Unfortunately the day has come to sell the BRZ and move on to a more practical car. All parts are off the car and ready for pickup! Not looking for trades unless you have a WRB front bumper. Located in South Bay. Would you trade for USDM TOMS? Are they new or close to perfect condition?